Have you ever noticed that when you are told to cheer up it makes your bad mood worse? Likewise don’t you find perpetually upbeat people annoying? Bad moods are normal, with or without rational explanation. And when we permit and forgive ourselves our bad mood — even better, when someone else acknowledges our upset, and is understanding — we feel better. There is something wrong if a person appears always happy. I think we know this intuitively and are wary of an over abundance of positivity. Yet we do tend to strive to be happy or happier. We want to know how to find happiness or more of it. Get caught up in an endless pursuit of happiness and you are sure to suffer as a consequence. Chasing happiness goes hand in hand with fleeing anything that looks like unhappiness: any thoughts, feelings and experiences perceived to be incompatible with happiness. Avoiding “negativity” in others, in yourself and in your life is detrimental to say the least. In my work as a therapist I see the consequences of this avoidance take shape as depression, anxiety, addiction. I touched on this when I wrote a post called: The False Promise of Positive Thinking. In it I recall many years ago when two young men contacted me about counselling within the same week. They had both been “dumped” by their girlfriends. I was disturbed to discover that both had begun taking antidepressants, despite experiencing the distress that any healthy person would experience with loss. What a worry. How did we wind up seeking medication for a normal experience of hurt, accompanying a normal, surely unavoidable, life experience? Despite the claims, the wealth and mass followings of positive thinking self-help gurus, there is of course no magic bullet, no certain path to happiness. 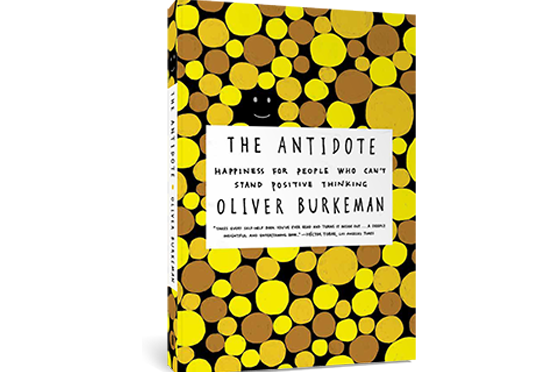 Thankfully, however, there is: The Antidote: Happiness for People Who Can’t Stand Positive Thinking, by Oliver Burkeman. Author and writer for The Guardian, Burkeman, through his extensive research and self-experimentation proves himself as a worthy authority on happiness, nothing like the happiness gurus he pokes fun at. He explores and offers insights that really can help you to understand better the pathways to happier living. He explains how he’d begun to notice during the course of his research and writing that the “positive-thinking” type approaches didn’t work for him and weren’t backed by research, and that the opposite was true for the approaches that were about getting friendlier with negative feelings and experiencing. This noticing was what drove him to embark on the book. He confesses that the book was also a personal quest, under the cover of journalism (and I admitted that this reminded me of how therapists embark on their own therapy under the cover of it being part of their training). 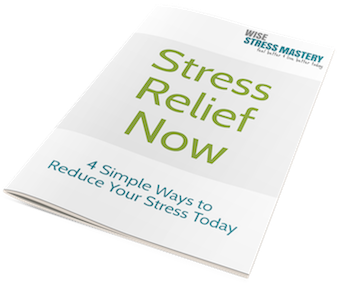 He speaks of learning of the powerful notion that distress arises from our beliefs about experiences, and that there is value in considering what is the worst that can happen, rather than trying to convince ourselves that all will be good. We grapple with the seeming paradox that those living with greater material wealth and relative safety experience greater struggles with happiness, compounded by feeling bad about feeling bad. He speaks too of another approach having a powerful effect on him — the approach to life which embraces the celebration and confrontation of death, adding that he himself is still working on this one. Do listen to, enjoy and share the interview. And add: The Antidote: Happiness for People Who Can’t Stand Positive Thinking to your holiday reading list. Your hunches and scepticism about positive thinking will be confirmed, you’ll have a good laugh, and be challenged to value the negative path to happiness.